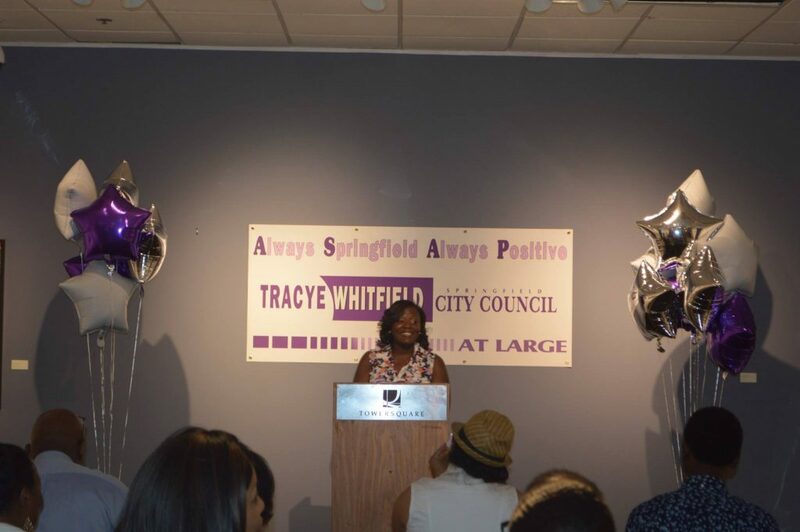 Tracye Whitfield did not think she would be on the Springfield City Council in 2018. She had run last year, hoping to catch the wave of elected women. 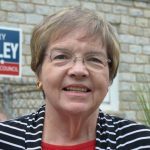 Yet she placed sixth in the race for the city’s five at-large Council seats. However, under Springfield’s City Charter, almost counts for a lot. Tuesday she will be sworn in as the Council’s newest member, filling the vacancy Thomas Ashe left. Her elevation not only doubles the number of women on the Council. It comes amid broader shifts and struggles within the Council and between the body and other organs of city government. “We came really close during the campaign season. I just appreciate my support from my team, my supporters,” Whitfield said, sounding still a bit overcome by her sudden rise. Ashe resigned September 13 to succeed Denise Jordan as Mayor Domenic Sarno’s chief of staff. 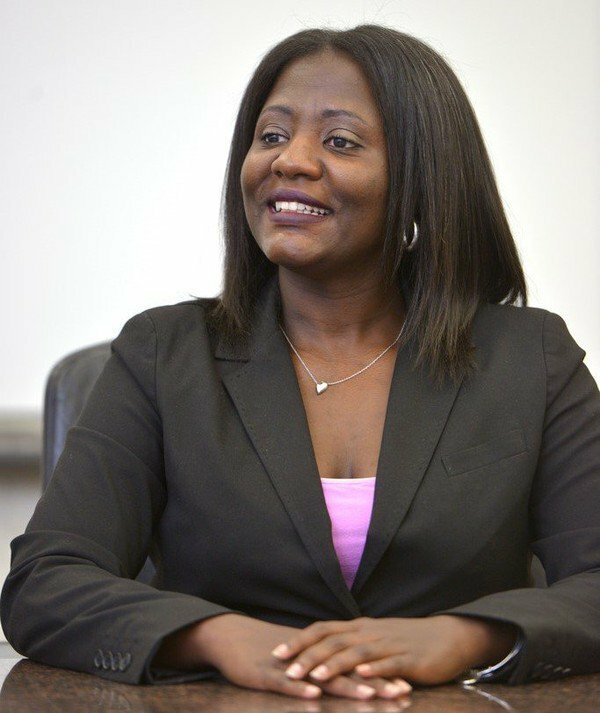 Whitfield, who works in workforce development at Springfield Technical Community College, will be only the third woman of color and second African-American woman on the Council in its 166-year history. Whitfield will enter a unique place in Springfield politically. She received considerable support form Sarno and prominent backers of his, including former State Rep and longtime political power Ray Jordan. Yet, she has also developed some close relationships with current councilors eager to serve with her. She has said as much herself. In a phone interview, Whitfield outlined her priorities and discussed her relatively meteoric rise in city politics. She said Denise Jordan’s departure announcement in May, which prompted Whitfield’s elevation to office, came as a surprise. Whitfield, 43, was born in Springfield to parents originally from North Carolina. She had not given elective politics much thought, especially after she became mother when she was young. “My priorities were to take care of my children,” she said. Whitfield’s current career path started at MassMutual where, according to her LinkedIn profile, she worked her way up to accounting specialist from a claims rep. In 2010, she began working for the city as a financial analyst, overseeing spending trends and helping various departments stay within their budgets. She is now director of training and workforce options at STCC. It was at MassMutual that she gravitated toward community outreach and organizing through the company’s community programs. She took on roles with the Martin Luther King, Jr. Center and other outreach endeavors. That evolved into participation with social justice issues like greater minority representation in public and private employment seeking justice for Delano Walker, Jr. Walker was a 15 year-old who was killed by a police cruiser after a confrontation with authorities in 2009. Earlier this year, she joined the March for Our Lives in Springfield at the invitation of Trevaughn Smith. Smith, a march organizer, had worked on her 2017 campaign. 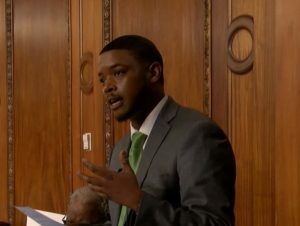 Given Sarno’s vetoes of late, Whitfield’s activism indicates sympathy for the Council bloc most in conflict with the mayor. 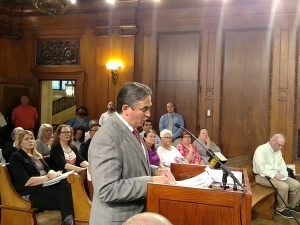 Sarno could not be reached as of posting time. As she did last year, Whitfield has highlighted economic development. Last year, that took the form of better workforce development and fostering small business. Now, she noted that downtown’s improvements notwithstanding, the rest of the city needs attention economically. Whitfield’s new colleagues want to hear her input on the budget. While the Council has increasingly clashed with the mayor, for the most part the body has accepted Sarno’s budgets. Still, councilors may benefit from a more technical perspective on city spending than they usually receive every spring. Williams, who got to know Whitfield after the 2017 election, said he was looking forward to her perspective on the budget. “We met not too long ago,” he said, and “she was sharing this insight of what her role was” in the Finance Department. Williams also looked forward to seeing where Whitfield would come down on the marijuana zoning ordinance. That matter faces another vote Tuesday night following her inauguration. It is impossible not to return to one of the most apparent and symbolic parts of Whitfield’s impending tenure. 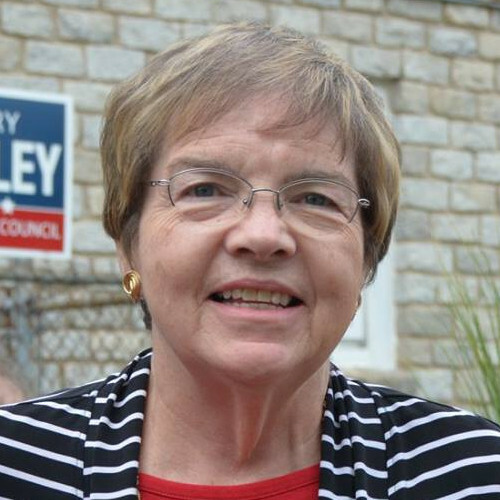 Councilors will have another woman in their ranks. Indeed, that responsibility is on Whitfield’s mind. One factor that encouraged Whitfield to run was the realization that many in minority communities were unaware of the grants, resources, and opportunities Springfield provides. She herself only learned about many of them when she began working for the city. That lack of awareness contributes to the city’s inequities. Amid a larger national debate about sexual harassment and women’s equality, Whitfield also underscored the challenges women face. Whitfield described an instance where she was passed over for promotion in favor of a man. Although they had started at the same time, she had the better qualifications. He got the job. As a single mother, she experienced the difficulties of balancing work and childrearing. Growing up, she recalled finding it unfair that some of her friends’ parents only had to work one job while many people she knew in her neighborhood work two or more jobs. Moreover, Whitfield joins the small club of elected Springfield women of color. Although diversity overall has improved, outside the School Committee—now majority nonwhite women—city electeds are overwhelmingly male. The last women councilor of color, Zaida Luna, lost her seat in 2015. The other, Carol Caulton-Lewis, served one term last century. “I plan to be that voice,” she said.